What are the advantages of owning a trailer tent rather than a caravan? Some would say it has the bad points of a caravan combined with the bad points of a tent! How do the fans of folding campers respond to this? One of the principle differences in towing a folding camper is the saving on fuel. This is not an insignificant amount. Towing a caravan can use up to twice as much fuel as towing a trailer tent. This can mount up to hundreds of pounds on a two-week touring holiday. For those who do not enjoy towing something as restrictive and heavy as a caravan, towing a lighter trailer tent is an added bonus and allows you more visibility too. The initial outlay for the folding camper is also less. While there are some high-end versions that cost as much as a caravan, generally the outlay is less for the same amount of accommodation. The insurance for these folding caravans is less than a caravan too. Another advantage of folding campers is that they extend beyond their footprint, making them more roomy than a small caravan. The sleeping area can be separate from the main living area, freeing up space, affording privacy and reducing upheaval in the living area. 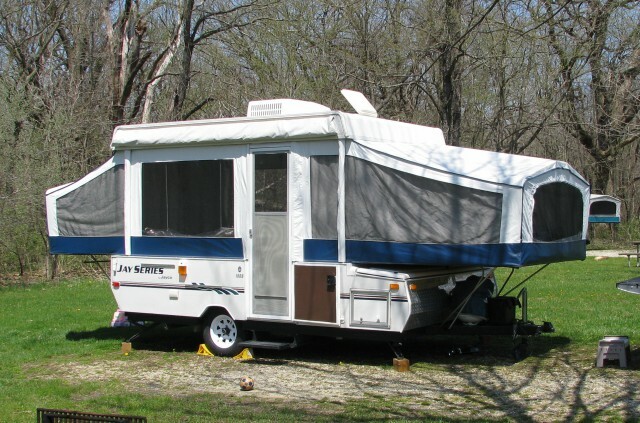 Bigger families can get away with a smaller sized trailer tent from a towing point of view than if they had to pull a caravan that would fit them all. Once they get to site though, they can expand their living space by use of awnings and other zip on features, as well as the beds which expand outwards. For many folding caravan owners, it is the space available and the consequent privacy, particularly when travelling with family that is the big plus. While you have the trailer to store at home, it is possible that you can fit this low-rise trailer in your garage. In any case, it will not dominate your drive and garden like a caravan does. When travelling abroad you may well find (in France for example) that the charge for travelling on motorways is less for a trailer than a caravan. Speed limits can also vary but this needs to be checked in each country. Other advantages include the fact that height restriction barriers need not pose a problem for you. We now offer insurance for trailer tents as a specialist product area via our Bristol branch.